Maybe now Bono can single-handedly end world poverty. In an effort to make struggling musicians feel even worse about their unpaid bills, Billboard has released its inaugural Money Makers Chart, tracking Nielsen data and Boxscore numbers to find the 20 bands that best played their way to the bank during the past year. Topping the chart are the lads of U2 , whose mastery over arena tours, media exposure, digital downloads and old-fashioned album sales netted the band just over $255 million. The band was estimated to have taken their Vertigo tour to three million ticketholders during the course of the year. The Rolling Stones finished a distant second ($152 million), but still easily outpaced no. 3 moneymaker Kenny Chesney ($88 million). 50 Cent ($75 million) and Green Day ($72 million) also appear on the Top 10 list, right alongside a bevy of exciting new acts ranging from Paul McCartney ($84 million) and Elton John ($77 million) to Neil Diamond ($70 million) and The Eagles ($67 million). Boosted by her successful show in Las Vegas, Celine Dion ($76 million) is the lone female artist to crack into the upper echelon. Older acts have a clear advantage on the Money Makers list, as all earnings are taken into account, including catalog sales (McCartney's total includes money received for the 1.3 million Beatles albums sold during the year). Radio play does not affect earnings and is therefore not a factor in the rankings. 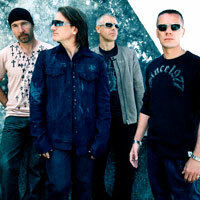 But any way you slice and dice the numbers, the results are clear: It just doesn't get any bigger -- or richer -- than U2.